The anime Living Story of Saint Peter and Saint Fevronia is a modern story remake of an ancient Church living of two bright Russian saints. The official movie genre is orthodox christian kids animation movie. The 14 minutes cartoon re-tolds the living story of St. Peter and st, Fevronia in a playful and entertaining way like for kids or youngsters. Nomatter the movie primary target audience is children, the cartoon is great to see for adults people as well :). The movie genre is orthodox christian kids animation movie. The plot is based on a true (historic record) story of two saints venerated each year across Orthodox Churches around the world. The original story I watched was a Bulgarian translation from Russian. But since I found it to be so valuable, I look for a translated video and got one in youtube.Take 14 minutes break and watch it, I'm sure you will like it so much, that probably give it a second time glimpse alone or with your wife, children or girlfriend. Unfortunately, the english title is mis-translated as it says "Tale" and not "Story" and there is difference in meaning between this two words. It is not tale as tale is made up story and this is not a made story but a story based on the two saints who lived in the end of 12 and beginning of the thirteen century. The two saints were living in Murom Russia. Peter was prince and Fevronia a poor maid a daughter of a beekeeper who made his family living by collecting wild honey in the forest. Prince Peter was striken by a severe sickness and in a vision it was revealed to him, that the only one that can cure him is Fevronia (a village maid living in the village of Laskovo Russia. The prince went to her and since he saw she is a pious, good and wisdom rich maid promised her, if she manage to heal him to take her as a bride to his place. However there love in Christ had to went through high temptations. 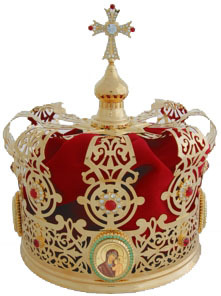 Once the couple married, the prince proud boyars requested the prince to leave his new bride, as they didn't wanted to accept a simple girl as Fevronia will be governing them. Being in uneasy situation prince Peter prefered to leave his governing power and castle but to stay with his life. Together by boat by the near river Oka they left the kingdom. Soon after Gods wrath came Murom because of people's rebellion and the people requested the chased prince family to be restored to power. Pushed by the peasents, the boyars bringed back the couple to power. The two saints governed their kingdom with great wisdom, love and mercy to the people. In their old age the decided to become monks in separate monasteries. St. Peter received his new monk name David and princess Fevronia took the nun name Evphrosia (Evfrosia). Even living a sepate monk / nun life the couple continued having a deep love to each other and asked God to take them from this earthly life on the same date. God answered their prayer granting them to depart this earth on the same day in the same hour! Like in life even in death people tried to separate them. Fevronia was put in a coffin in the nun monastery, where Peter was prepared for a monk funeral in the man monastery and they put them in separate graves. In the morning the graves were empty and their bodies were found buried together in one grave. People realized it is Gods will they are buried together and left them buried together. Today the incorruptable bodies of the two saints can be seen and venerated in Holy Trinity's nun monastery in the town of Murom Russia. 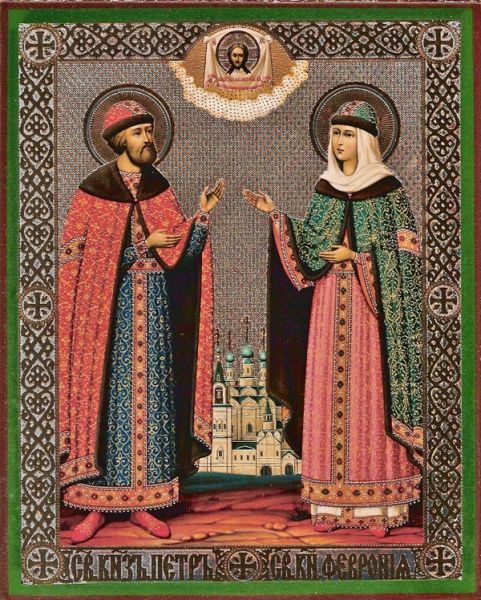 St. Peter and St. Fevronia are considered patron of the Christian marriage, couple's love and family happiness. It is common that many young people are, asking for the two saints prayer intercession in front of God for getting a good spouse in life and good marriage. Also the two saints are oftenly asked for prayer for improving a marriege bindings. The two saints feast day is like the Orthodox Antipode of the Roman Catholic feast of couples in love – St. Valentine. As you see, St. Peter and St. Fevronia living is full of wisdom and true spirituality, and there is plenty we the modern disbelieving people can learn from it. Let God by the two saints holy prayers have mercy on us. Yesteday with Baky (my dear Orthodox Coptic Christian friend) and Kliment (a good friend from the old rock’n’roll years), we went to the Dobrich Cinema (sadly just one cinema for the city is available). The cinema in Dobrich is called Cinema Club Icarus (Ikar). For all foreigners who wants to enjoy some movie, the Dobrich Cinema does offer a plenty of English speaking movies (with Bulgarian subtitles). Pitily the Dobrich Cinema website http://www.kinoikar.com/bg/info/2 is not existing in English, though anyone wanting to check the current projected movies in the cinema can use the movie trailers and the movie pictures to get the necessery info.
. 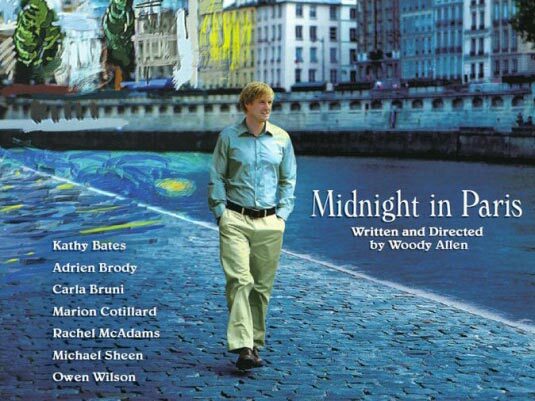 Midnight in Paris is a Romantic Comedy for intellectuals and people who have a glipmse on art. Its a Bohemian movie so to say and I believe it wouldn’t hold a big interest for the avarage man who doesn’t keep interest in Arts, History or Philosophy. The movie plot revives around a young engaged American couple who went to Paris for a business trip, just to find out there whole life is gonna be changed by this. The main actor Gil a just grown man is writting a Novel book, trying to make a shift of his profession from being a movie directory to a novel publicist. Gil (Owen Wilson) is an odd Bohemian kind of man, who quickly fells in love with Paris rich culture architecture and old fame. Next to that Gil is a dreamer who (just like me dreams about the old glorious times), when people were more respectable better moral and more idealistic than in the current age. After one night of heavy wine drinking, Gil’s fiancee wents for some dancing and leaves him on his own. Gil makes a round in Paris and losts himself and decides to stay for a while in front of sold old Roman Catholic Cathedral, a mysterious very old car crosses by the street and suddenly some “party” gang asks Gil to join. He has no idea where he is going and suddeny finds himself in the epoch of the world famous 1920 of great book publicists like the Fidgeralds family. The movie is real fun in Gil’s personage I’ve seen a lot of “me”, also I’ve seen a lot of me in many of the other famous people as of course presented in the movie. I hardly recommend this movie to anyone who wants to take a break, have a good mindful laugh time.